Sometimes you can’t fully appreciate a band’s talent until you’ve actually witnessed them live. Let’s face it, anyone can make an album with the help of a studio – just ask Smashing Pumpkins. But if there’s one thing Seattle’s Fleet Foxes have already perfected in their young career, it’s translating what they’ve cut to tape to the stage in an absolute flawless fashion. And what better platform to do so than Massey Hall? Opening with “The Cascades” from this year’s critically acclaimed album, Helplessness Blues, this very bearded ensemble took the stage to a packed house in a very undramatic fashion looking as if they just finished a shift at a logging mill. When I say “undramatic”, band members doing their own sound check prior to curtain call doesn’t exactly make for the most climactic stage entrance come show time. Amongst a barebones stage set and just a curtain for a backdrop, once the six-piece did kick-start the evening’s festivities, the mesmerizing tone was set from the get-go. In just the first song alone, four of the band’s six members played a minimum of two instruments each before the song concluded. Other than front man Robin Pecknold’s soaring vocals, complemented by pitch perfect harmonies from drummer Josh Tillman and bassist Christian Wargo, the most fascinating member of the Fleets easily has to be the newly recruited multi-instrumentalist Morgan Henderson. Not only could he have passed for a street person panhandling outside the venue prior to the show, he had a revolving door of instruments in his hands the entire night. Starting with an upright bass and moving to guitar to flute to sax to maracas, needless to say Henderson is the jack of all musical trades. Next to a near flawless start to a recent North American string of dates, the only drawback of the night was the 2-3 minute gaps between songs it took to tune the guitars that hindered the flow of the evening’s set. Whether an extra roadie or two had border issues getting into the country is anyone’s guess. With that being said, in recent memory, there isn’t a band that has had the capability of captivating an audience with such an array of talent and sound - a rarity far and few between. Spanning their entire catalogue, evening highlights included, “Drops in the River”, “Battery Kinzie”, “Montezuma”, and the Robin Pecknold encore-solo delivered “Oliver James” with hand-clap help from the audience. Thursday night’s performance was an absolute treat and an experience appreciating true talent at its purest. 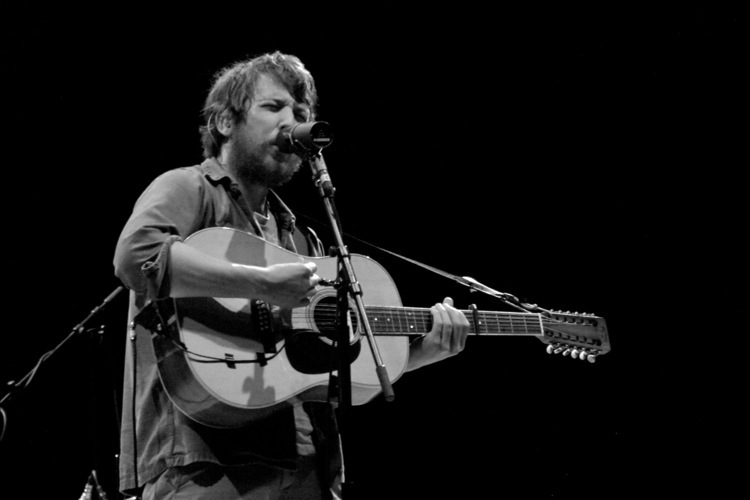 Massey Hall was built for bands like Fleet Foxes – plain and simple. Already compared to harmony-rich groups such as The Zombies and Beach Boys, just two full length albums into their career so far, is an incredible feat in itself. One can only hope the best is yet to come. Next time the Fleets roll through town, especially in a theatre type setting, do yourself the favour and take in such an unforgettable experience. Guaranteed to thank yourself after.